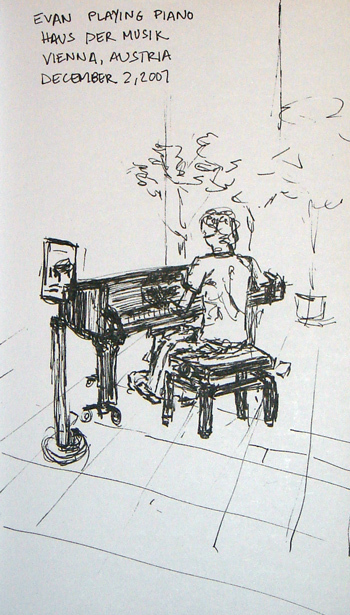 Here’s the sketch I drew of Evan playing piano at Haus der Musik in Vienna. I wish I had longer to draw… and that I wasn’t so out of practice. But there’s something nice about it anyway.